A revolutionary reversal of the first sign of skin aging. 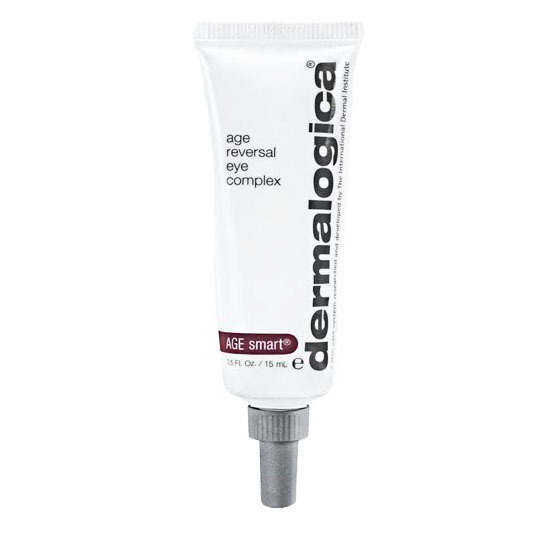 Age Reversal Eye Complex is Dermalogica s new efficacious eye are treatment with Retinol, created to reverse and repair the multiple signs of eye aging. Reverse multiple signs of aging with this breakthrough treatment specifically formulated for the delicate eye area. Targets concerns of the eye area, primarily wrinkles and crow’s feet plus puffiness, dark circles due to hyper pigmentation and skin sensitivity due to dehydration.